ISO is an independent, non-governmental, non-profitable, worldwide organization which develops and publishes international standards. It provides a standard for products and services. These standards are accepted worldwide and provide a surety that the products and services are safe, reliable and of good quality. ISO is the world's largest developer of voluntary international standards. Its headquarter is in Geneva in Switzerland and official languages are English, French and Russian. There are 165 member countries around the world as its national standard bodies. Note: According to ISO, "ISO" is not an abbreviation. This is a word derived from Greek word isos, meaning equal. ISO provides world-class specification for products, services and systems to ensure safety, quality and efficiency. There are more than 19500 international standards published by ISO, which covers every industry, technology, food safety, agriculture and healthcare. In 1946, delegates from 25 countries who met at the Institute of Civil Engineers in London decided to establish an international organization to facilitate the international coordination and unification of industrial standards. In February 1947, ISO was founded and officially began its operations. 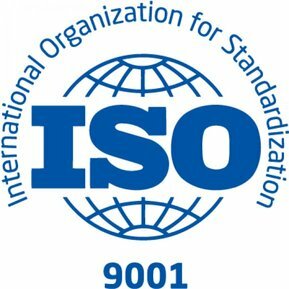 There are more than 19500 international standards published by ISO, which cover every industry, such as technology, food safety, agriculture and healthcare. ISO 9000: It is used for standardization of quality management. ISO 10012: It is used to measure management system. ISO 14000: It is used for standardization of environmental management. ISO 19011: It provides a guideline to audit management system. ISO 2768-1: It is used to provide an standard for general tolerance. ISO 31000: It is a standard for risk management. ISO 50001: It is a standard for energy management. ISO 4217: It is used for standardization of currency codes.